As a radiology PACS system provider, FreedomPACS™ has developed strategic partnerships with vendors of related services to be able to provide our customers with one-stop shopping and complete solutions. 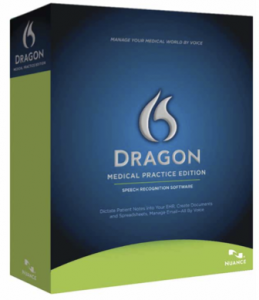 Dragon® Medical Practice Edition was created especially for physician practices and clinics with 24 physicians or less to create transcription-free clinical documentation, reduce time spent documenting care and optimize EHR and PACS integration for healthcare providers. To date, Dragon® Medical Practice Edition has been selected by more than 180,000 physicians to provide more efficient, profitable and effective care. FreedomPACS® can help you integrate digital dictation and transcription into our HIPAAcompliant web-based PACS solution to improve workflow and productivity in your practice. When customers implement FreedomPACS radiology PACS imaging solutions, they often need imaging furniture. Anthro Corporation has become the leader in the design and manufacture of award winning radiology furniture. Its in-house industrial design team works in collaboration with many of the country’s leading radiologists in the field to capture the key elements of what will make an outstanding work environment. All of Anthro’s products are Made in the USA at their factory in Tualatin, Oregon. Anthro carts and desks enable radiologists to adjust height, monitors and lighting, which increases productivity and long-term health of those using the imaging workstations. FreedomPACS staff can help clients set up the most effective workflow in their practice, including Anthro’s ergonomic and award-winning workstations. Foresight provides IT services and creates efficiencies for a wide range of clients. FreedomPACS partners with Foresight to help clients with hardware installation and other information technology services. Foresight is headquartered in the northeast, but works with clients across the country. 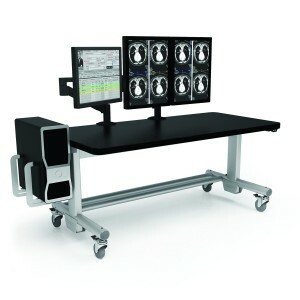 USEI is a leading supplier of high-end, price-performance TOTOKU medical imaging displays. With decades of solid expertise of innovating the perfect display, TOTOKU delivers high resolution, high luminance, ultra-crisp images with each and every model. Available in grayscale or color & high-bright color, single or multi-head configurations, 1.3MP-5 MP, TOTOKU monitors offer many advantages to PACS users. 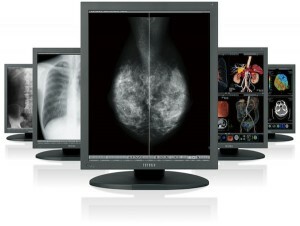 LCD displays, designed and developed for medical imaging, are equipped with a calibration function and a luminance stabilizing system to maintain grayscale characteristics that conform to DICOM GSDF over long periods of time. The new generation of high-performance displays integrates remote monitoring software that automatically tracks display integrity. USEI is a trusted medical displays partner well known for providing strong product engineering support and superior quality services. Contact USEI.